While it is the smallest county by size in Texas with an area of just 129 square miles, Rockwall County is one of the wealthiest counties in the Lone Star State and one of the fastest-growing counties in the entire country. The county’s access to major roadways such as Interstate 30, U.S. Highway 67, Texas State Highway 66, Texas State Highway 205, and Texas State Highway 276 makes driving while intoxicated (DWI) arrests a very common occurrence in Rockwall County. If you have been charged with DWI or another criminal offense in Rockwall County, it is important to contact a criminal defense attorney who can investigate your arrest and work to defend your rights. Law Offices of Richard C. McConathy defends clients all over Rockwall County against DWI charges and other criminal offenses. Any type of criminal conviction can have a dramatic impact on your personal and professional life. Law Offices of Richard C. McConathy represents residents of Rockwall County as well as people who were arrested there. Richard C. McConathy has helped thousands of Texans facing DWI penalties get the charges against them reduced or completely dismissed. In addition to drunk driving offenses, he also represents clients accused of drug charges, marijuana offenses, property crimes, violent crimes, and sexual offenses. The attorneys at Law Offices of Richard C. McConathy are admitted to practice in state courts throughout Texas as well as the United States District Court for the Northern District of Texas. We also assist clients with violations of probation, student disciplinary hearings, and sealing or expunging criminal records. Call (972) 445-4300 right now or send us a message online to have us review your case during a free, confidential consultation. In addition to our primary office in Dallas, our firm also has multiple appointment-only locations close to the Rockwall County. If you were arrested for DWI in Rockwall County, you should immediately seek legal representation. Law Offices of Richard C. McConathy will aggressively fight the charges against you and diligently work to obtain the most favorable outcome to your case. In addition to DWI cases, Law Offices of Richard C. McConathy also helps clients with many other areas of criminal law. This includes other traffic offenses such as reckless driving, leaving the scene of an accident, driving with a suspended license, and vehicular manslaughter, in addition to many other charges. We also have extensive experience with state and federal drug/narcotics charges, including offenses relating to possession, delivery, cultivation, or trafficking. Our attorneys handle other serious criminal allegations like family/domestic violence, firearm/weapon offenses, and sexual offenses. Law Offices of Richard C. McConathy defend clients against misdemeanor offenses like shoplifting or violations of protective orders as well as white collar crimes like credit card fraud or identity theft. Our firm fights on behalf of defendants in many Rockwall County criminal cases. Rockwall Municipal Court — The Rockwall Municipal Court issues warrants, collects fines, and reports convictions for offenses occurring within the city of Rockwall. The court also conducts hearings, trials, and handles the adjudication of state and city ordinance violations classified as Class C Misdemeanors. Rockwall Police Department — The Rockwall Police Department is staffed 24 hours a day, seven days a week, but administrative and support functions are only available during normal business hours, 8 a.m.-5 p.m. Monday through Friday. The department lets people file police reports and report traffic accidents, but they also respond to emergencies and non-emergencies. 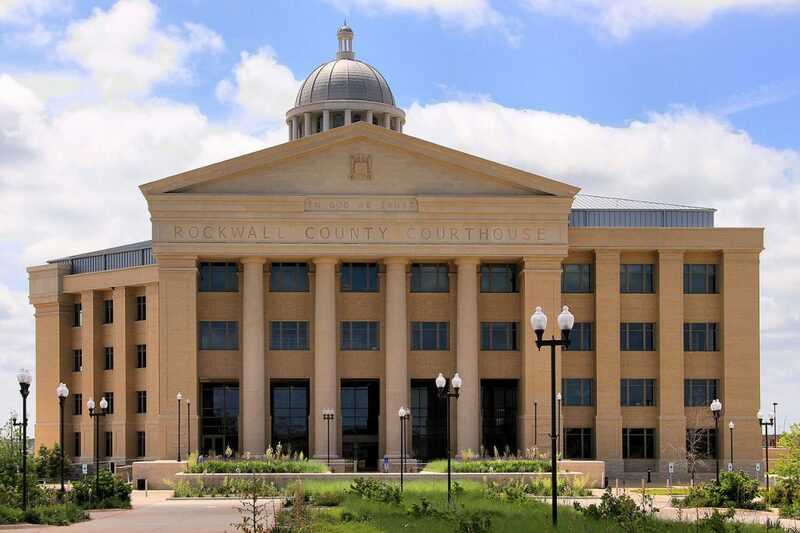 Rockwall County Clerk — The County Clerk maintains records for criminal cases and civil cases as well as cases for probated estates and guardianships. This link also allows you to perform a judicial records search of criminal and civil cases and hearings as well as records of the Rockwell Sheriff’s Office. Law Offices of Richard C. McConathy offers a free consultation to review your case and discuss your legal options. Whether you have been arrested for DWI or are facing some other type of criminal charges, call our firm today at (972) 445-4300 or send us a message online to see how we can help.